After all the changes and delays to Obamacare, the Galen Institute lists 35 major ones, Health and Human Services Secretary Kathleen Sebelius on Tuesday pointed the finger at GOP governors for “playing with people’s lives,” by rejecting Medicaid in their states under Obamacare. The memo further states that, “Americans are rejecting Republicans’ repeal agenda both nationally and in swing districts, where voters want to see the Affordable Care Act fixed and improved, not repealed.” Moreover, Democrats are targeting Republicans for rebuffing Medicaid expansion. Democrat strategists are hoping that this will be a vulnerable area for Democrats to attack. 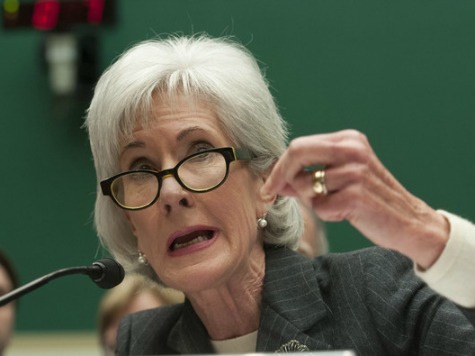 Secretary Sebelius disparaged Texas Gov. Rick Perry, who may be a GOP candidate for President in 2016. She implied that it was outrageous that Texas had not accepted federal dollars and expanded the Medicaid program in order to insure more people. A Democrat PAC, House Majority, is busy creating ads for two representatives that will be running in November, Ann Kirkpatrick (D-AZ) and Joe Garcia (D-FL). The ads will admit mistakes for the healthcare.gov website, but will hit hard on why America needed the law in the first place. On the other hand, Republicans campaign ads have consistently hit those who voted for the law or have not shown a sufficient level of opposition to it.